Center for Media Freedom and Responsibility (CMFR) has released a statement on Friday, calling President Rodrigo Duterte's rant against the media, specifically ABS-CBN and Philippine Daily Inquirer, "an attack against the institution and the country’s community of journalists." "Being itself in the media, as both practitioners and watchdog of the profession, the Center for Media Freedom & Responsibility (CMFR) takes exception to, and strongly protests, the president’s accusations against the media and his imputations of political and pecuniary motives for their coverage. The virulence and viciousness of his language are an abuse of power, a stain on the freedom of our public forum," the independent media watchdog said. The group also called Mr. Duterte's pronouncements "the cheapest form of harassment and intimidation that has brought the highest office to a historic low." Speaking to appointed government officials in local government on March 30, President Duterte once again assailed the press, singling out two leading news organizations, the Philippine Daily Inquirer and ABS-CBN. His rant, however, was an attack against the institution and the country’s community of journalists. 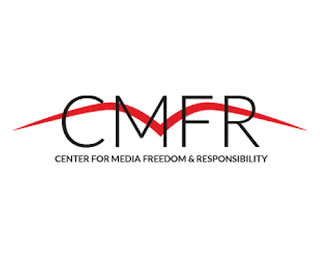 Being itself in the media, as both practitioners and watchdog of the profession, the Center for Media Freedom & Responsibility (CMFR) takes exception to, and strongly protests, the president’s accusations against the media and his imputations of political and pecuniary motives for their coverage. The virulence and viciousness of his language are an abuse of power, a stain on the freedom of our public forum. The media are doing their institutional duty — to reveal the truth in the public interest. The practice is protected by constitutional rights and held responsible under the law for any proven wrongdoing. Made publicly and without any bases whatsoever, the president's allegations against the media constitute verbal abuse — the cheapest form of harassment and intimidation that has brought the highest office to a historic low.